Swiss computer-accessory manufacturer Logitech has announced a couple of new items specifically designed for the just-released sixth-generation iPad. Firstly, there is a stylus called the Logitech Crayon Digital Pencil that offers an eight-hour battery life. Then there is the Logitech Rugged Combo 2 case and keyboard combination, which has been designed to protect the newly revised 9.7-inch iPad from bumps and drops. Along with the Logitech Crayon, the Swiss peripheral maker has also revealed plans for a case with a detachable keyboard. 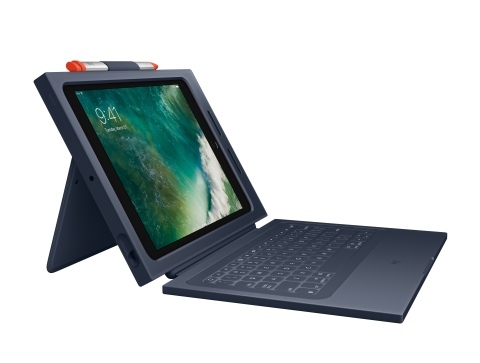 The Rugged Combo 2 will apparently be able to protect the iPad (2018) from drops of up to four feet and the keyboard is spill-resistant – so it should afford some protection for the Apple device from clumsy or careless students. The suggested retail price for the Rugged Combo 2 is US$99.99, and it also should be available by summer. LAUSANNE, Switzerland & NEWARK, Calif.--(BUSINESS WIRE)--Today Logitech (SIX: LOGN) (NASDAQ: LOGI) announced the Logitech Crayon and Logitech Rugged Combo 2 for the new iPad (6th generation), which gives students the ability to be even more creative and productive. Specifically designed for the classroom, the Logitech Crayon digital pencil takes advantage of new technology in iPad and provides an affordable solution for education so students can do even more including handwrite notes, illustrate projects and draw diagrams. The updated Rugged Combo 2 offers unmatched protection for iPad and the keyboard is a secure solution for testing and exams. Logitech Crayon is the first digital pencil designed for the new iPad and leverages technology found in Apple Pencil to deliver sub-pixel precision, low latency and support for tilt in a design that's perfect for students. 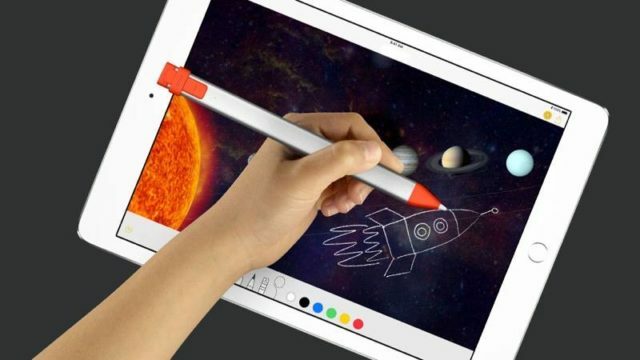 iPad features palm rejection technology and can tell the difference between Logitech Crayon and a hand resting on the display so students can write and draw naturally, just as they would with traditional pencil and paper. Designed with input from educators, administrators and IT specialists, the updated Rugged Combo 2 case and keyboard combo is designed to take on daily wear and tear inside K-12 classrooms. To ensure the highest levels of protection and durability, the Rugged Combo 2 protects iPad from bumps, scratches and drops of up to four feet. The Logitech Crayon and Rugged Combo 2 will be available for purchase to schools and school districts in the U.S. beginning this summer from apple.com/education/purchasing/. Logitech Crayon will be available for a suggested retail price of $49.99 and the Rugged Combo 2 will be available for a suggested retail price of $99.99. For more information on these, and other products for education from Logitech, visit www.logitech.com/edu/ipadsolutions.